hopeful it may be reorganized in 2019. 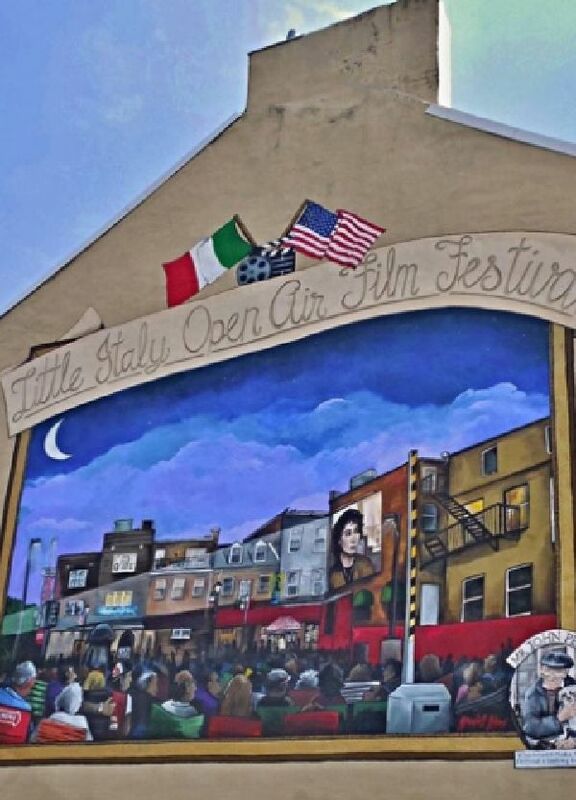 Bring a chair or blanket and the family for Little Italy's biggest annual event - OPEN AIR FILM FEST every summer! HISTORY OF FILM FEST: The late "Mr. John" Pente wholeheartedly supported the Film Fest for 11 years before he died at age 100 after living in 'The Neighborhood' his entire life. Mr. John had allowed a movie projector to be set up in his third floor bedroom window to project films onto a big screen across Stiles Street. 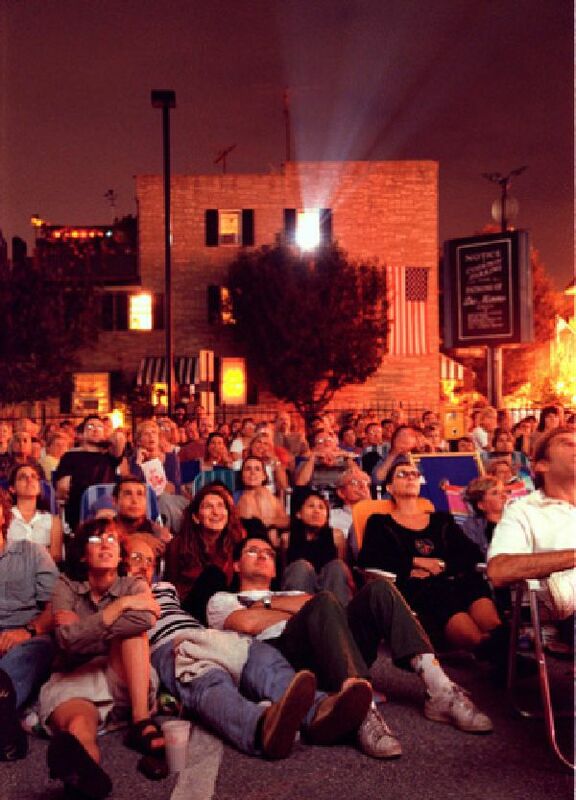 After he died, Mr. John's nephew, the late Ray Lancelotta, purchased the house and allowed the Film Fest to continue. When Ray died in 2014, his children allowed it as well. Today, the house belongs to a new owner who had graciously agreed to continue the Film Fest tradition. Between 1999-2017, the event was organized by the Original Little Italy Restaurant Association. "They came over and asked if I would put a projector in my bedroom. I said, If it’s good for the neighborhood, fine, go ahead. Anything you can do for the neighborhood, you do".